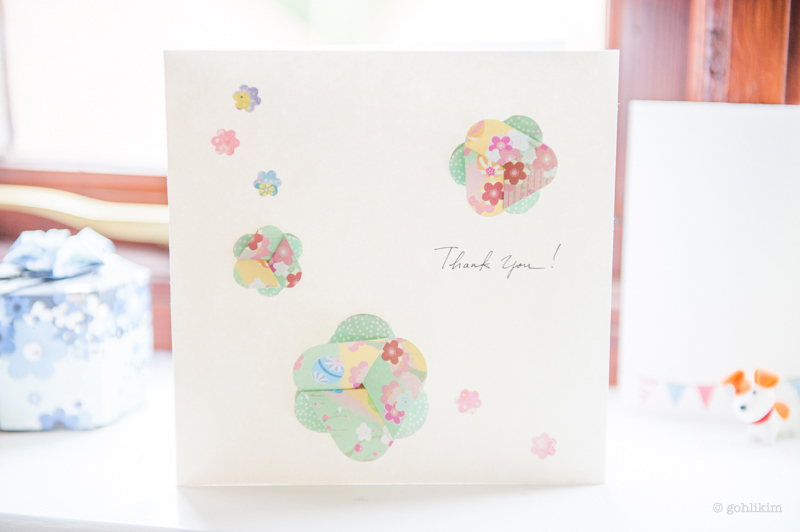 Sometimes a simple handmade thank you card is a perfect way to say thank you. Not only they are unique and personal, you can save tons of money by creating your own! 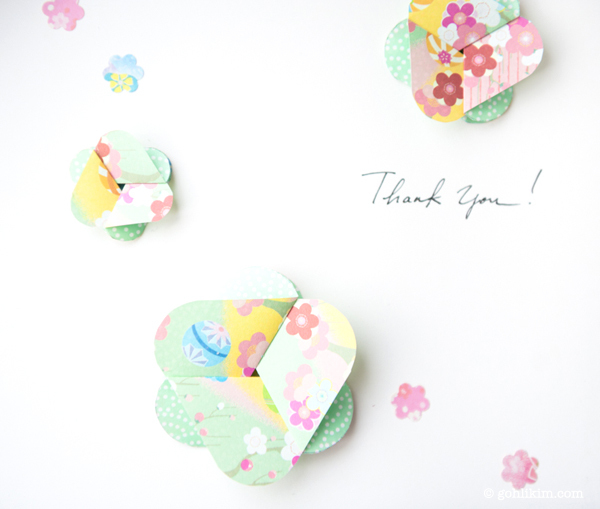 Here’s a simple thank you card i made using this interlocking flower petals template i created. The double sided chiyogami paper is the best paper for this project because the flower shows both front and back of the paper when folded. 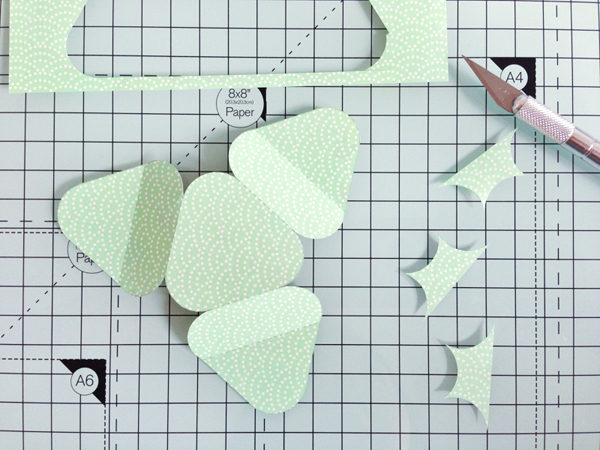 I like to duplicate the die and scale it to different sizes to fill the paper, that way I can get as many flowers out from one sheet of paper and not wasting it. I like to save the extra flowers for other projects. 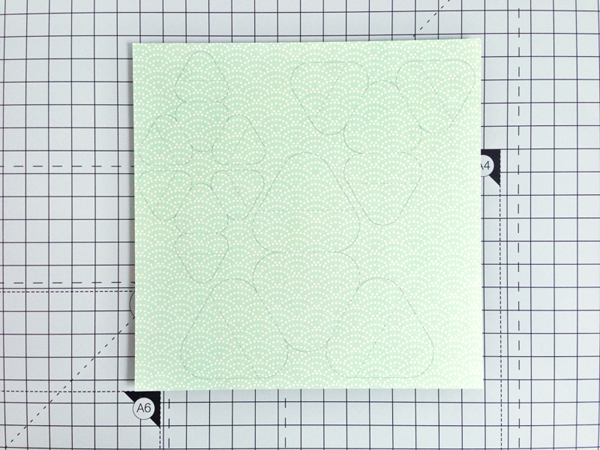 The image above is to show you how i tried to fit the dies into a 6″ x 6″ chiyogami paper. Tips: Always score the fold line first for a clean fold, you can score using the back of the blade, but be gentle, even with the back of the blade, if you put too much pressure, it will cut through the paper. 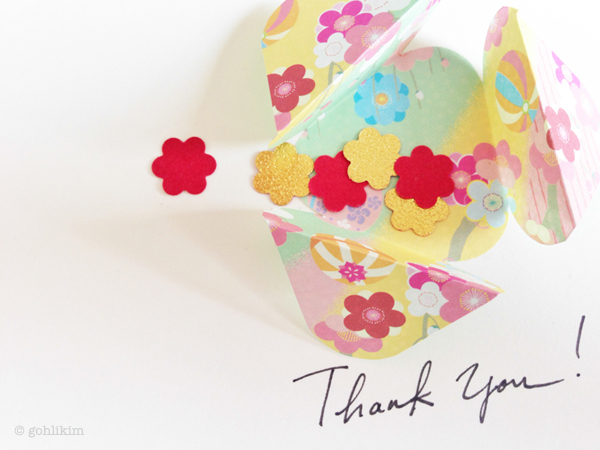 Folded up all the flowers as many as you like and glue them on a blank card. I decorated it with some little paper punch flowers. I love craft punches, I got this flower punch at hobbycraft, it was only £1, they are great tools to own. 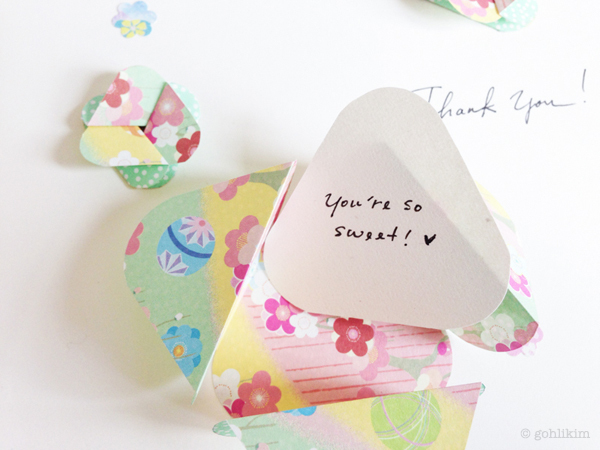 OK here’s the best part, you can add a secret note, a heart shape, confetti or any small things that’s flat enough inside the flowers to give a little surprise! Now I’m ready to send this out to my friend. 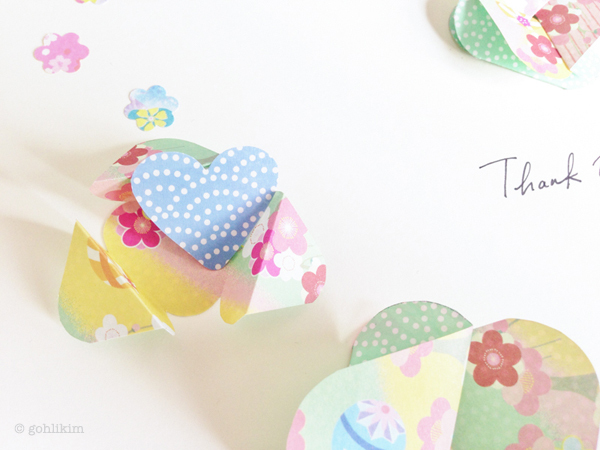 I hope this inspires you to try making your own handmade greeting cards!